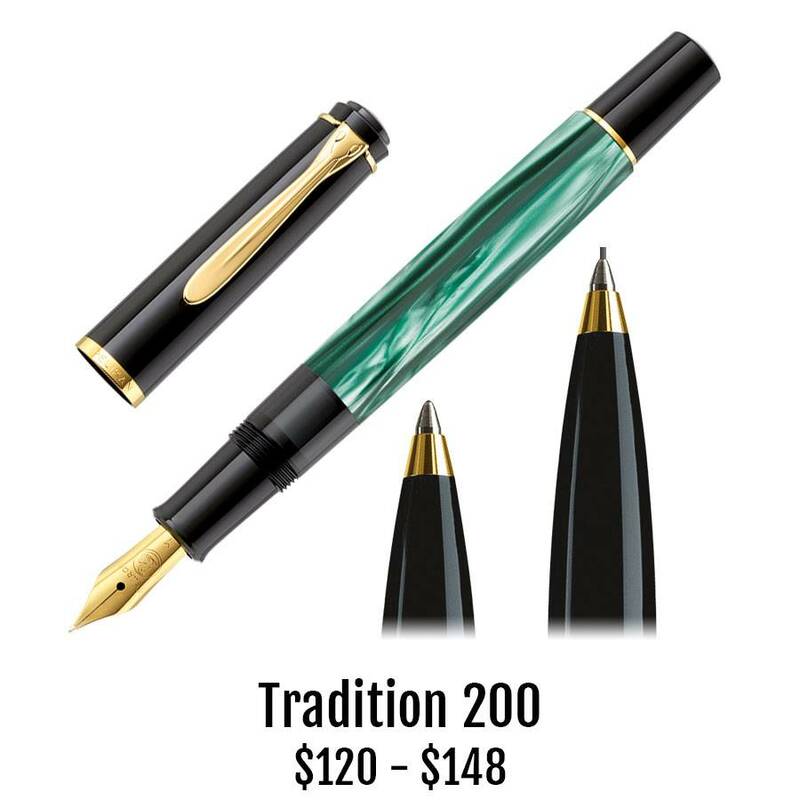 We are very happy to announce that Pelikan has brought back the green marble finish in its popular 200 series of pens. This highly polished acrylic pen is trimmed with 23k gold plating. The fountain pen features 23k gold plating on the stainless steel fine, medium or broad sized nib. The ballpoint is a click top and uses any Parker-style refill. A click-top .7mm mechanical pencil completes this stunning collection. So beautiful, so affordable, so Pelikan.